Western boundary currents, such as the Gulf Stream and Agulhas, play a key role in global ocean circulation. They are dominated by rapidly evolving eddies and meanders with sharp boundaries between water masses. This case study will determine the usefulness of SMOS SSS to locate the position and intensity of SSS gradients in these two current regimes. 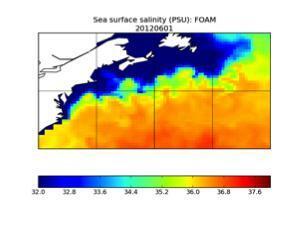 The motivation is to assess the potential of SMOS data for assimilation in ocean forecasting models such as FOAM/NEMO. Tropical regions experience the highest rainfall, and there are large vertical salinity gradients after rain events. There is also evidence from these regions of long-term trends in SSS. This case study will focus on rain events using comparisons between SMOS data and in situ measurements. Find out about SMOS+SOS results from Case Study 3. The Salinity Processes in the Upper Ocean Regional Study (SPURS) is an ongoing experiment at JPL to study processes in the region of salinity maximum in the North Atlantic. This is a stable feature in the N Atlantic subtropical gyre, characterised by strong evaporation and intense surface heating. This case study will compare SMOS measurements with in situ data and Aquarius satellite salinity measurements in this region. 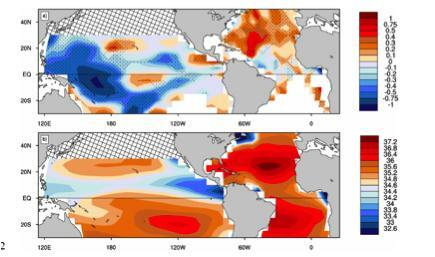 The equatorial Pacific is a region characterised by tropical instability waves and upwelling, and is important for ENSO cycles. 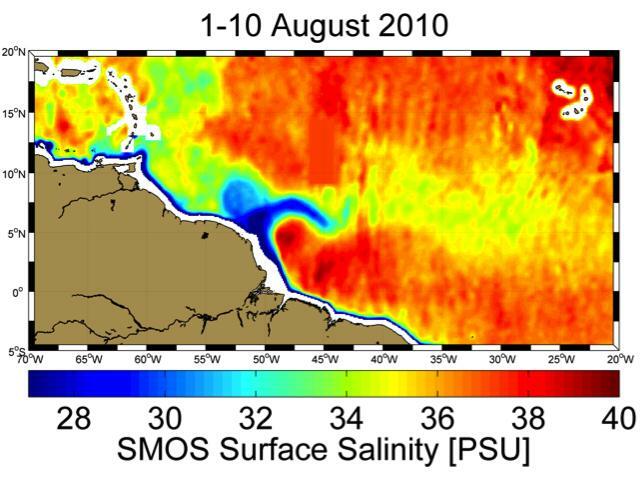 Equatorial upwelling in eastern Pacific (cold tongue) is largest source of oceanic CO2 to the atmosphere, and results in strong salinity gradients at the boundaries. 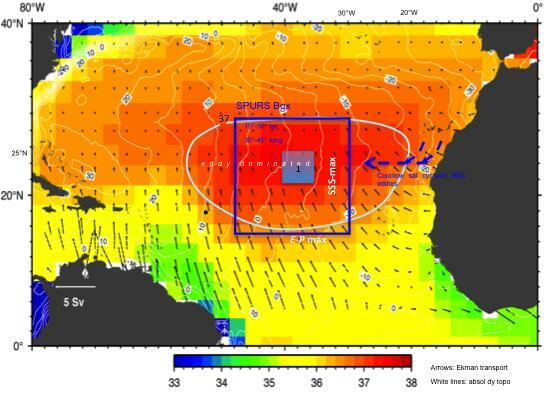 This case study will look at the signature of tropical instability waves and upwelling in SMOS data and perform comparisons with in situ data in order to asses the quality of SMOS salinity measurements.